Terrariums are special because they are fun to make, need only bright indirect light and no watering! 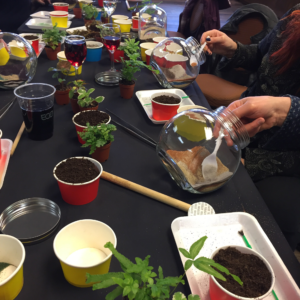 Terrarium building is a great group activity, everyone relaxes and has a wonderful time checking out each other’s work. Engaging with nature relieves stress, restores mental energy, instills a feeling of calmness and is a natural mood booster. 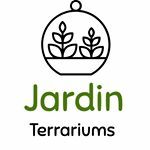 Jardin Terrariums facilitates workshops at various venues for businesses, schools/colleges, scouts, camps and more. Custom orders for table centerpieces, private events or offices are available. Party-to-Go Kits are great for kids birthday parties!